The former Old Tai O Police Station, which today houses the Tai O Heritage Hotel, was built on the small hill next to Tai O Ferry Pier in 1902. As one of the earliest police stations on the outlying islands of Hong Kong, it was established to combat pirates prevalent in the neighbouring waters. The policemen’s lives, however, did not centre around crime as such but they had quite a community role of the rural setting in Tai O and were brought in to help with family disputes and arguments between villagers. Officers of the Old Tai O Police Station were under the charge of the marine police and often patrolled within the community by means of sampan. Owing to the declining crime rates, the police station ceased to operate, it functioned as a patrol post from 1996 to 2002. 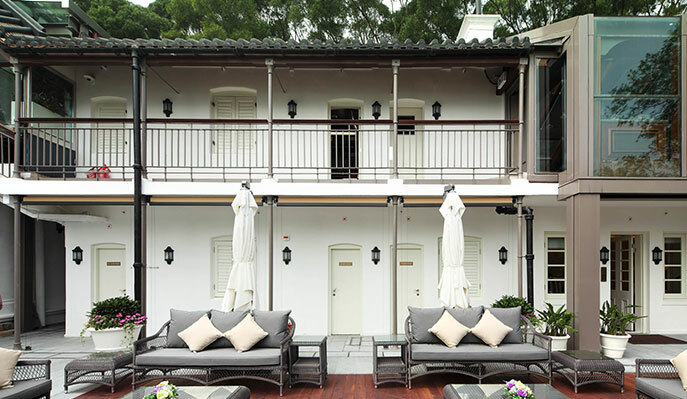 In December 2008, Hong Kong Heritage Conservation Foundation Limited (HCF) won the tender to revitalise and convert the Old Tai O Police Station into a boutique hotel with nine colonial-style rooms and suites. The Hotel is part of the first batch of the HKSAR Government’s ‘Revitalising Historic Buildings Through Partnership Scheme’, and commenced operation in March 2012 by HCF as a non-profit-making social enterprise. The Old Tai O Police Station was graded as a Grade II historic building by the Antiquities Advisory Board in 2010. It is a characteristic example of colonial-style architecture. In order to maintain its character, every historical element and detail, such as the cannons, searchlight, corner turrets, dry-goods store and cells distinctive to the former police station, has been carefully restored and refurbished in Tai O Heritage Hotel. 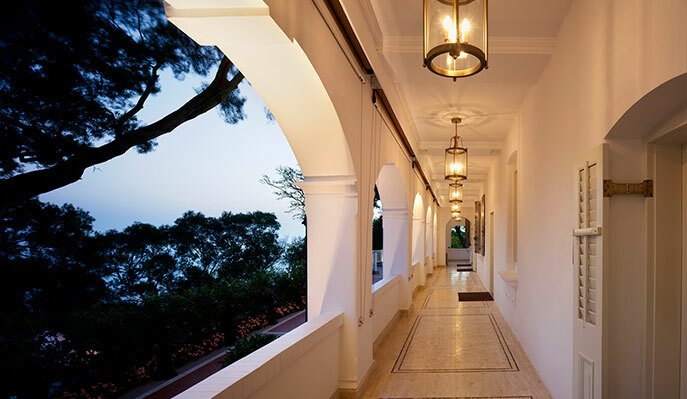 The Hotel is also classically understated with a mix of colonial architectural elements such as a Chinese tiled roof, wooden casement windows, granite steps, French windows and so forth. Additional details such as the arched façade, fireplaces, and bridge connecting the main building and the outhouse make an attractive ensemble of architectural style in early 20th century. The Hotel received the Award of Merit, UNESCO Asia-Pacific Awards for Cultural Heritage Conservation organised by the United Nations Educational, Scientific and Cultural Organization (UNESCO). Tai O Heritage Hotel operates as a non-profit-making social enterprise. It is dedicated to enhancing the relationship with the Tai O community through providing employment opportunities for Tai O residents. Besides, the Hotel endeavours to promote unique traditions of Tai O and sustainable tourism through organising cultural experience tours and hosting cultural tourism programmes for both local and overseas visitors. There are three sessions of Free Guided Hotel Tour daily at 3pm, 3:30pm and 4pm. The public can visit the restored historic building with colonial-era architecture, and have a first-hand experience of the cultural heritage. If you are interested in joining the Tour, please register on the Hotel’s website (participants must be aged 12 or above).